Be the first to share your favorite memory, photo or story of Triomfo "Ted". This memorial page is dedicated for family, friends and future generations to celebrate the life of their loved one. Triomfo “Ted” Corbo, 90, of Coatesville, died Saturday, November 17, 2018 at his residence, Harrison House of Chester County. Born in Coatesville, Ted was the son of the late Pasquale and Mary Cristarella Corbo. Ted was married to Dolly Lorenc Corbo, with whom he shared 65 years of marriage. Ted spent 43 with Lukens Steel Co. starting as a machinist and rising to the Head of Maintenance Planning. He served in the US Army during the Korean Conflict. 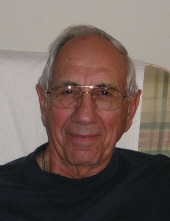 Ted was a lifelong and very active member of Our Lady of The Rosary Church in Coatesville. He served in the choir and was a Eucharistic Minister. He was a member of the Holy Name Society and Knights of Columbus. He recently received his 60-year pin as a member of the Men of Malvern. He was a former board member of the Coatesville Senior Center and was associated with the Boy Scouts and the Amphibious Order of Frogs. Ted’s Funeral Mass will be celebrated on Monday, November 26, 2018 at 10:30 am at Our Lady of The Rosary where family and friends may call from 9 to 10:15 am. Visitation will also be held on Sunday, November 25, 2018 from 5 to 7 pm at Wentz Funeral Home, 342 East Chestnut Street, Coatesville (610) 384-0318. Interment will be in All Souls Cemetery, Coatesville. Memorials in Ted’s honor may be made to Our Lady of The Rosary Church, 80 South 17th Avenue, Coatesville, PA 19320. To send flowers or a remembrance gift to the family of Triomfo "Ted" Corbo, please visit our Tribute Store. "Email Address" would like to share the life celebration of Triomfo "Ted" Corbo. Click on the "link" to go to share a favorite memory or leave a condolence message for the family.